We live in a world mad for talent. From Hollywood and sports to executive search firms and HR departments around the globe, everyone seeks that special mix of natural abilities and attitudes that will make performance pop. A few months ago, Douglas Conant wrote a terrific blog post on how to find talented candidates for a job. When evaluating a potential hire, Conant looks for a strong mix of three qualities — competence, character, and skill as a team player. He gives great advice on how to find such a person. But he's missing a crucial ingredient. That ingredient, at least as important as the talent package described by Conant, is passion for the work — what psychologists call intrinsic motivation. Without it, no amount of talent will yield great performance. For 35 years, we have been exploring how motivation affects creativity. In studies involving groups as diverse as children, college students, professional artists, and knowledge workers, we have found that people are more creative when they are more strongly intrinsically motivated — driven by interest, enjoyment, satisfaction, and a sense of personal challenge in the work they are doing. Arthur Schawlow, a Nobel laureate in physics, said it eloquently: "The labor of love aspect is important. The successful scientists often are not the most talented, but the ones who are just impelled by curiosity. They've got to know what the answer is." Intrinsically motivated people are more creative because they engage more deeply with the work. 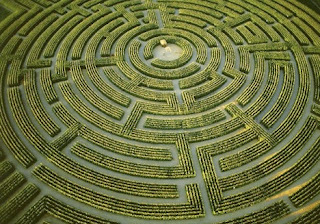 Imagine a task you have to do — say, an important marketing problem you have to solve at work — as a maze you need to get through. 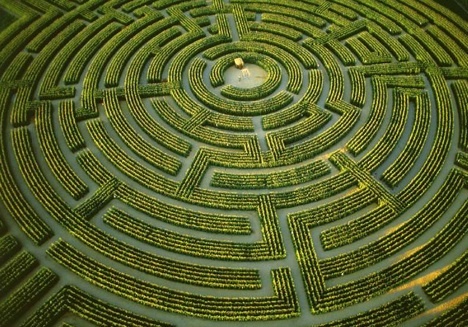 Most business problems have multiple solutions that would work, multiple exits from that maze. Often, there is one clear, straight path out of the maze — the standard solution that everyone uses for this type of problem. If you're extrinsically motivated, perhaps by a looming deadline or fear of a negative evaluation, you're likely to take that safe path. The solution works, but it's boring; it doesn't move things forward. But if you're intrinsically motivated, you love the hunt through the maze for a more interesting — and likely more creative — solution. First, hire for passion as much as for talent. If you don't look for passion in the people you hire, you could end up with employees who never engage deeply enough to dazzle you with their creative productivity. As Conant advises, get to know potential hires for important positions as thoroughly as possible, long before you might have an opening for them. When you talk to them, ask why they do what they do, what disappointments they've had, what their dream job would be. Look for fire in their eyes as they talk about the work itself, and listen for a deep desire to do something that hasn't been done before. When you talk to their references, watch for mentions of passion. Second, nourish that passion. Unfortunately, standard management approaches often (unwittingly) end up dousing passion and killing creativity. But keeping it alive isn't rocket science. We have found that the single most important thing you can do to fuel intrinsic motivation is to support people's progress in the work that they are so passionate about. This is the progress principle, and it applies even to the seemingly minor small wins that can lead to great breakthroughs. You can use the progress principle by understanding what progress and setbacks your people are experiencing day by day, getting at the root causes, and doing whatever you can to remove the inhibitors and enhance the catalysts to progress. For example, be vigilant about whether your creative professionals have sufficient resources to make progress without a constant struggle. Give them autonomy in how to achieve a project's goals, because there's no point in hiring people with great talent if you don't let them use it. And support them in learning from both successes and failures, because talent is not a fixed quantity; it can and should grow over time. Give talented people every opportunity to develop, keeping in mind the "10,000 hour rule" cited by Malcolm Gladwell: You can't become expert enough to create an innovative breakthrough in a field unless you have put in at least 10,000 hours of practice. That kind of persistence is fueled by passion. Finally, look to yourself. If you don't have passion for your own work, you'll end up disappointing both yourself and those who count on you. And you're unlikely to develop your own best talents. One of us, Steve, is an avid photographer of landscapes. An important mentor, the photographer Craig Tanner, has taught both of us a great deal about the connection between passion and the development of talent. In a brilliant essay on "The Myth of Talent," Craig says: "Long-term, focused, practice powered by the energy of passion [...] leads to amazing transformations. The bumbling beginner becomes the exalted expert. The trapped and depressed become the liberated and empowered." Ask yourself: Am I liberated and empowered by passion in my work? Are the people around me? Teresa Amabile is Edsel Bryant Ford Professor of Business Administration at Harvard Business School. She researches what makes people creative, productive, happy, and motivated at work. Steven Kramer is a psychologist and independent researcher. They are coauthors of The Progress Principle (Harvard Business Review Press, 2011); visit itswebsite.